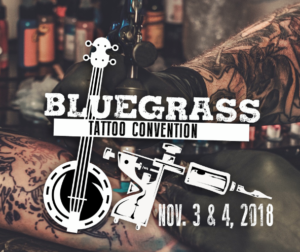 Clear your calendar because you know you want to be at the second ever tattoo convention for Owensboro, KY! All you need is grab your tickets, which will be on sale in September, and show up on Nov. 3rd or 4th. As the event gets closer we will be updating to the site with all of the guest spots, performances and contest. Musick Studios All Stars will be performing on and off all weekend long, you wont want to miss it!